I remember when this frame was first put in. Looking through it you could see right across the river. When you stood and looked through the frame everything was clear. There was stuff outside the frame but you didn’t have to worry about it. If it was a postcard of somewhere that you wanted to go, you knew what that place looked like, how you could get there and what might be standing in your way. The frame helped clarify things for you. Over time the trees have grown. 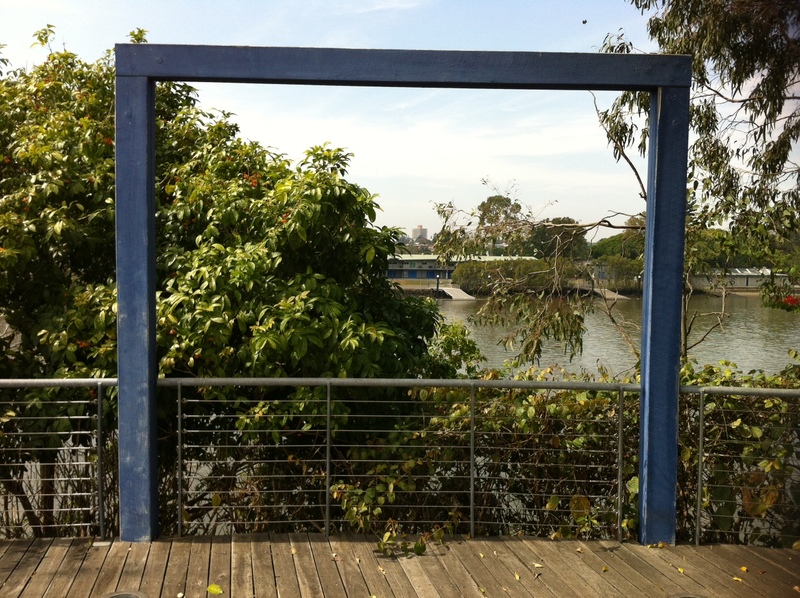 Looking through the frame each day you wouldn’t have noticed that your view was becoming increasingly narrow – gradually obscured, so that now you are lucky to see a quarter of what you did when you started. And now lot of stuff that was outside the frame is, well, no longer outside the frame. If it was that postcard of somewhere that you wanted to be by now, it would be hard to remember even what the destination looked like let alone how you might get there. The frame no longer helps to clarify things for you the way it used to. And now that you can see that, you will see that you have options. You can do some work to clear out the frame. Get rid of that other stuff that has crept in and is distracting you. Refocus yourself on where you want to go and get back to work getting yourself there. Or, you can decide that you no longer want to be in that place anymore. It might be time to get yourself a new frame and set your sights on a different destination. Or, you can decide to just sit a while right where you are now. Looking at what you have looked at for a long time now. Take this time to look at the frame in a different way. It may be for you that the stuff that has crept into your frame (the stuff that you have ignored all this time) is really the stuff that you need to be focusing on. Maybe the frame has done what it needed to do by keeping your attention long enough so that you are finally able to see what you need to see. The stuff that has grown and changed around you and within you. Your post has inspired me to organise some pictures of where I want to be and put them in a frame. I’m going to place it on my bathroom mirror so every morning when I brush my teeth I can see what I am striving for. Put my focus on.